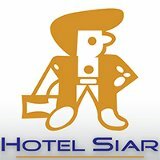 Set in the Teusaquillo district of Bogotá, Hotel Siar is 600 metres from El Campin Stadium and 1 km from El Campin Coliseum. The property is located 2.2 km from Corferias International Exhibition Center. The property is situated 3.8 km from T Zone. At the hotel, the rooms are equipped with a desk. All rooms are fitted with a private bathroom. An American breakfast is available daily at Hotel Siar. A business centre and luggage storage service are available on site. When guests need guidance on where to visit, the reception will be happy to provide advice. Monserrate Hill is 5 km from the accommodation, while Vase's House is 5 km from the property.